Perhaps the best 'job description' for a Permanent Deacon is that in St. Paul's first letter to Timothy (3: 8 - 13). The particular talents of each permanent deacon gained in his lay career are harnessed for the benefit of the Church. Family and work obligations are fulfilled with the diaconal duties working in harmony. 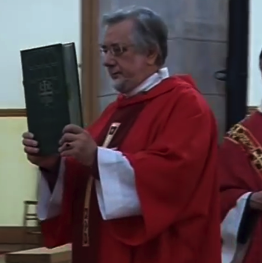 Incardinated into the diocese, the Permanent Deacon is a full member of the diocesan, deanery and parish team of clergy, but, unlike the priest he is free to participate in approved commercial and political activity not only for the maintenance of his own family, but also in the interests of those he serves. He can therefore provide a liaison between the interests of the clergy and the laity, and also express the official Church presence in the sphere of the secular world. He is, however, to refrain from membership of associations unsuited to the clerical state. There is a national programme of ongoing formation for all deacons in Scotland which currently includes two residential weekends each year. This is seen as a priority and ordinarily deacons ought to be released from parish duties that weekend to allow them to attend. Wives and widows of deacons are invited to some of these events. In addition there will often be a local programme in the deacon’s own diocese. 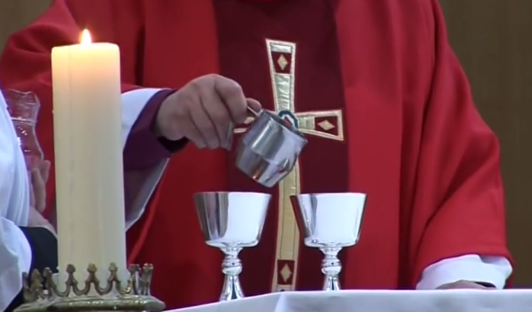 Sacrifice of time and self is called for the Permanent Diaconate. Jesus led by example when He washed the disciples' feet. The joy of serving the community is what is offered in the Permanent Diaconate. "Whoever serves me, must follow me, and my servant will be with me wherever I am" (John 12:26).